How to edit scanned pages into TXT file? Nowadays, we usually scan papers into digital copies directly for storing in computers or publishing online, but how do we edit the scanned pages as easy as edit TXT files? To easy edit scanned pages, you can use A-PDF OCR (free download here). 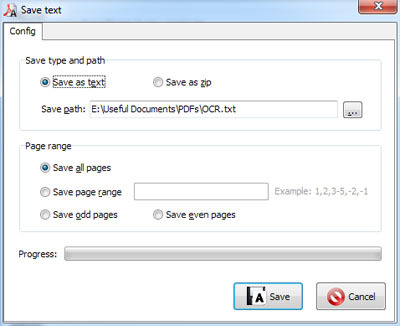 This program will help you to extract text from your PDF or scanned files quickly and exactly. You can edit extracted content with the same tool and then store modified text into TXT format. A-PDF Scan Paper - Scan and organize paper in PDF format, use thumbnails and metadata to filter, secure, send scanned documents.